MoMA’s ‘Glorious Technicolor’ series has come to a close, and it’s hard to imagine we’ll see a line-up quite like it until Technicolor celebrates its 200th anniversary in 2115. It’s harder, of course, to imagine anywhere, even an institution as diligently respectful to film history as the Museum of Modern Art, still screening Technicolor prints one hundred years from now. The moving image archival sciences suggest the films, properly stored, can survive until then, but who will still care to view film on film? Who will still care about these 200-year-old examples of “modern” art? Pivotally, the audiences that exist now for these films, 60 years or 100 year old, suggest the future is not as grim as my fearmongering might imply. Many of the events I attended during ‘Glorious Technicolor’ were filled to capacity, even on some beautifully sunny days when being indoors for an old movie should be heresy (and especially on some exceptionally humid days when your skin just wants to crawl off your body and escape down the nearest sewer vent). The first film I caught in the second half of the series was a pivotal one, if one that all but the purest cinephiles and factoid-devotees are still aware of: Becky Sharp. Rouben Mamoulian’s 1935 adaptation of Vanity Fair, focusing as the title suggests on the novel’s saucier anti-heroine, was the first feature film produced in three-strip Technicolor. It’s a rather dull affair overall, sanitised and gifted a happy ending, and the film, much like The Adventures of Robin Hood and A Star Is Born (Mark I) lacks the radiance of what we consider today true Technicolor. The reds of the dragoons’ jackets are not quite that luscious Technicolor red, but some of the background details, notably purple curtains, stand out as definitively Technicolor. The film was partially lost for decades after the 1930s, only restored by the UCLA Film and Television Archive in the ’80s; the most notable repercussion of this being the fate of the final reel. No 35mm materials remained for it, so as the film reaches its climax suddenly the picture quality collapses into two-colour Cinecolor, sampled from a 16mm print. It’s a sad fate for such a cinematic milestone, although the film’s dramatic and pacing weaknesses would likely have condemned it to obscurity either way. 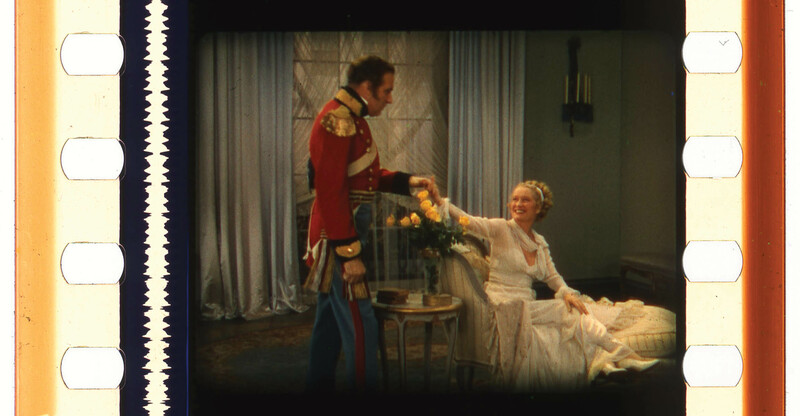 More tragedy indeed could be seen in a 20-minute Technicolor lighting test for Becky Sharp which preceded the film. Mostly just footage of the actors trying to keep straight faces while standing perfectly still to see how their costumes and makeup would look in Technicolor, the clapperboards that preceded each take bore the name of Lowell Sherman, the film’s original director, who died of pneumonia just a few weeks into the production. The footage however is an interesting study of just how much care had to be taken to get Technicolor looking just right on its extended debut. A Saturday afternoon in mid-July had to be given over to watching one of Technicolor’s greatest triumphs, Gone With the Wind. The film’s vast scope, incredible story and writing, its pitch-perfect acting, sweeping score, and still-controversial politics, often obscure the fact that it is an astonishingly beautiful film from beginning to end. Gone With the Wind is surprisingly unshowy with its use of Technicolor (well, given its length, that is). Certainly some of the costumes and décor burst with three-strip radiance, but often the browns and beiges and greys of the South before, during, and after the Civil War are hardly colours Technicolor is noted for. Even the film’s most famous gown, Scarlett O’Hara’s dress sown from curtains, is off-emerald green, so as not to completely leap from the screen and belie its pauperish origins. When the film’s colour does excel, however, it is by playing Technicolor’s two strongest hands – deep reds and strong blacks. Most notable during the violent sunsets and firestorms that precede the intermission, the vibrancy of the red backgrounds with the film’s principals in thick silhouette before them are Gone With the Wind’s most iconic images. Seeing this on a 35mm print, this one courtesy of George Eastman House, is one of those screening opportunities all cinephiles should seek out, regardless of their opinions on this sometimes difficult movie. Perhaps the purest artistic counterweight to Gone With the Wind in the Technicolor canon, Robert Siodmak’s Cobra Woman (1944) is a 70-minute B-movie-ish South Seas adventure. One of Universal’s first Technicolor movies (hard to imagine in the year of Furious 7 and Jurassic World, but they were once lagging far behind the other major studios), it was also, somewhat ironically, perhaps the most pristine print I saw during the entire film series. The film is delightful trash, with Maria Montez vamping in dual-role as sexualised serpent queen and her modest mouse-ish twin sister. Lon Chaney Jr. plays a brown-faced mute, while Sabu plays that role that Sabu plays in everything (Black Narcissus excepted), swinging from every imaginable dangling object even when totally unnecessary. It’s a fascinating film (one of a number of adventures Universal made at the time) because it looks so incredible, despite its bare-bones plot and how it almost suffocates on its own camp. Film history tries to not let us associate Technicolor’s magic with such thoroughly minor fare, and yet here it is, more colourful and dazzling than many glorified colour movies; critical darlings and award winners. It was a delighting break after so many grand and important Technicolor triumphs, and as such proved a triumph in its own way. A handful of Westerns played ‘Glorious Technicolor’, but I was only able to catch The Naked Spur. And very happy I was with that, it proved by some distance the best film I caught in the two-month-long programme that was new to me. “Packed with Technicolor thrills!” roared its poster back in 1953, and it certainly is, particularly because of how untamed the Technicolor in it is. As I mentioned previously, the Technicolor corporation controlled the studios’ use of their apparatus through regimented overseership. Thus all of The Wizard of Oz’s scenes were shot indoors – despite being mostly set outdoors – where Technicolor technicians could best control lighting and the appearance of their product. 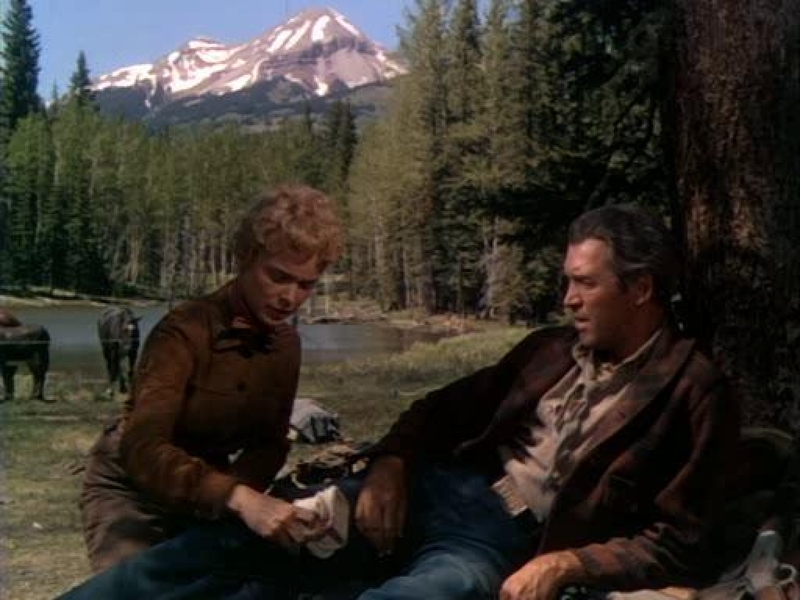 The Naked Spur, however, was shot largely on location in the Rocky Mountains, a sign of technological improvement that allowed for less bulky, more mobile cameras. 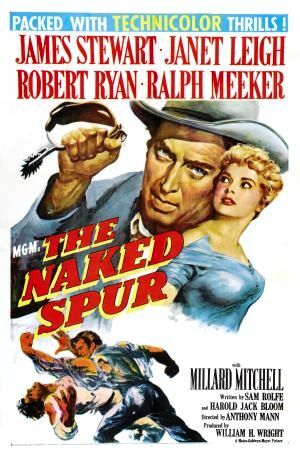 As such The Naked Spur looks like few other Technicolor films, with the barrage of natural greens and blues and greys out of the control of the designers. Gone are the rich reds and deep purples of the studio-based melodramas, here the colours of the wilderness are captured in a heightened realism that allows the locations to serve as a stage for a complex drama of greed and distrust. Colour cinema could finally roam the wild, instead of just lumbering into it and shooting whatever was nearby. Of all the losses of the Technicolor age, none has been written about more than A Star Is Born (Mark II, 1954). George Cukor’s musical update of the early Technicolor classic infamously had half an hour ripped from it by studio bosses shortly after its debut. Much of that material is now lost, but much was restored in an acclaimed 1983 reconstruction, which filled in gaps with recovered audio played over on-set photographs. These scenes remain thoroughly jarring, with the lavish Technicolor replaced with its veritable visual antithesis: still black and white frames. And yet, they also reveal the degree of dedication to the restoration. Similarly evident of this was that A Star Is Born was one of the only films shown in the entirety of ‘Glorious Technicolor’ shown on a DCP (digital cinema package) rather than on 35mm, as the surviving elements have proven too delicate to strike new prints from. The film itself is a strong remake, which becomes a little too much a beat-for-beat repeat in the final act. Still, the central musical number, Judy Garland’s ‘Born in a Trunk’, could rival many of Singin’ in the Rain’s finest big numbers for Technicolor opulence. A Star Is Born’s James Mason was up again in the next film I saw, Disney’s 1954 take on Jules Verne’s 20,000 Leagues Under the Sea. Another rather standard adventure film, this lacked all of the gorgeous lustre of Cobra Woman, and was easily the most disappointing film I caught during the series. 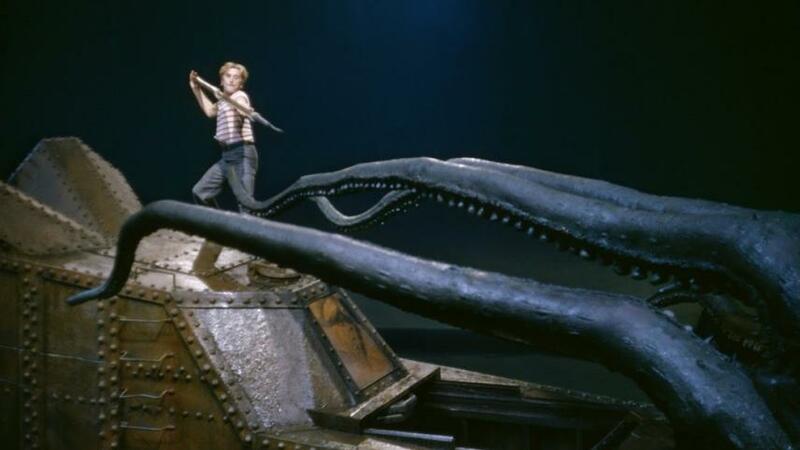 Captain Nemo’s Nautilus has been imagined as a dull, rusty brown submarine, one of the only colours that the Technicolor process has proven slow to improve. With its gruelling length of more than two hours, only briefly surfacing for a beautiful Technicolor beach scene or a mildly thrilling giant squid attack, it’s hard to imagine 20,000­ Leagues could have been as popular as it was back in the day. I suppose it does have a comic-relief sea lion. Always a crowd-pleaser, that. MoMA rounded out its summer of Technicolor with a weekend dedicated to animation. The backbone of this was a number of Technicolor prints of classics of Disney animation. I was lucky to have a chunk of spare time, and got to three of them. 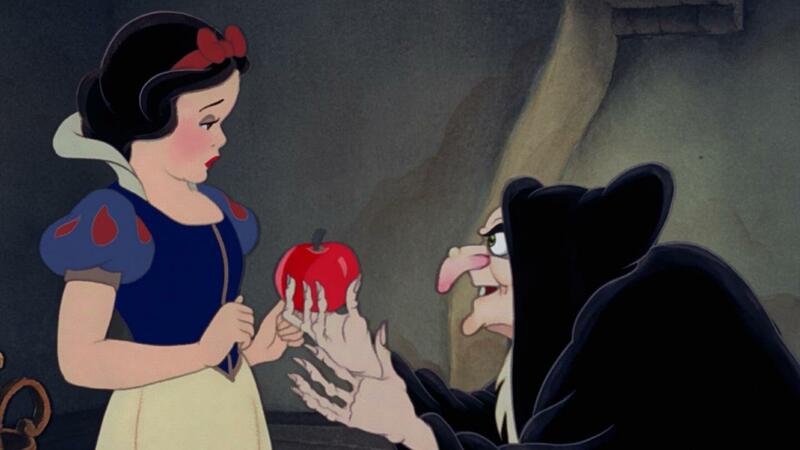 Snow White and Seven Dwarfs, I had not realised before, gets its unique, Grimm look from those teething pain days of Technicolor, before The Wizard of Oz and co. electrified everything. As such, its many muted fairytale colours actually help the lips red as blood and hair black as night to pop the way they do. 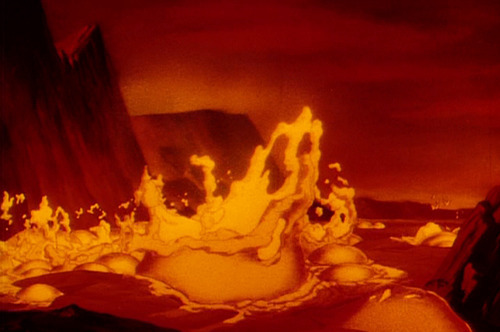 Fantasia, shown in all its original grandeur with intermission, could hardly look better than in a Technicolor print – it may represent Walt Disney’s ego at its most extreme, but the visuals that ego inspired are beyond compare. ‘Rite of Spring’, with its wide swath of colours and fiery reds as the world is formed, stands out dramatically, as do the bright tones of the centaurs, pegasi, and other creatures of Greek myth featured in ‘The Pastoral Symphony’ sequence. The final film I caught was a first for me, Melody Time (1948), one of Disney’s mash-up of shorts during those difficult post-Fantasia, post-War years. It’s colossally hit-or-miss, with some of the musical shorts delightful or charming, while others drag on ceaselessly (‘The Legend of Johnny Appleseed’, in particular). 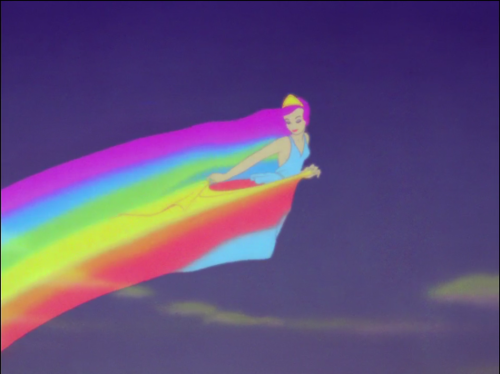 In some ways though, this saved the finest use of Technicolor for last. In one of the more middling segments, ‘Blame it on the Samba’, Donald Duck and José Carioca (that parrot you’ve seen in so many pictures but probably never seen in a movie) are brought out of a funk by the combination of alcohol and samba music. When the pair finds themselves in a giant glass of liquid samba, the sequence dissolves into a whirlwind of shapes and colours, an acid trip lava lamp, complete with live action organist and demented physical comedy courtesy of the Aracuan Bird. On the big screen, in all of glorious Technicolor’s glorious colours, it is quite a sight to behold. I was very fortunate to see as many films as I did during ‘Glorious Technicolor’, and so often in prints of such superb quality. And yet, I missed many more than I saw (Leave Her to Heaven was a particular sore one for me). I was especially sorry to miss the great range of shorts programmes MoMA had running, from classic cartoons to travelogues, and fragments of early, mostly lost Technicolor features. 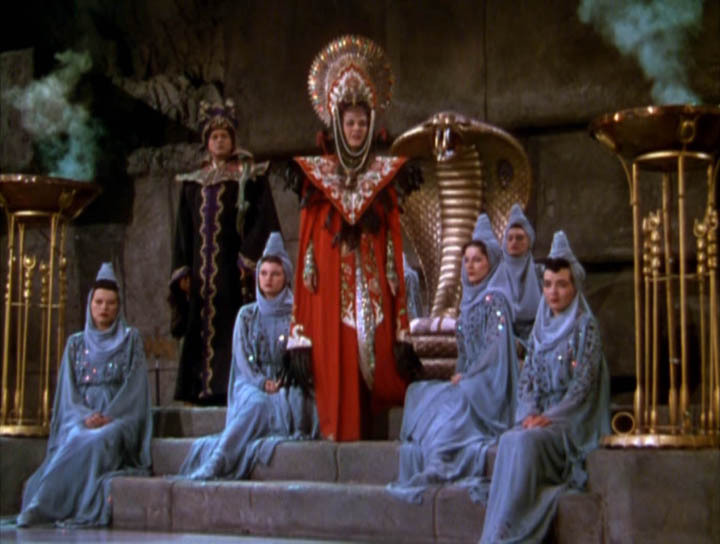 What I did catch was the 1949 industrial film imaginatively titled Technicolor for Industrial Films, played before Cobra Woman, that is both sales pitch and triumphant example of what Technicolor can do. It’s also a great example of awful, awful 1940s voiceover work. Powell and Pressburger’s magnificent 1946 afterlife drama A Matter of Life and Death is famous for inverting the colour stylings of The Wizard of Oz: its heaven is monochrome, its earth – life itself – is bursting with colour. As a heavenly messenger, played by Marius Goring, travels between worlds, he stares lovingly at a rose as it blooms into redness. “Ah,” he exhales, “one is starved for Technicolor up there.” In this age of digital desaturation, Netflix, and poorly calibrated TV screens, we’re all a little starved for Technicolor down here these days too. For one summer in New York in 2015, we feasted.